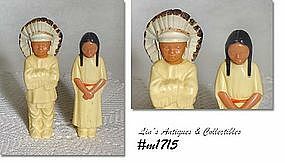 This listing has the very difficult to find Gurley Native American boy and girl candles! They measure 5” tall and still have the original Gurley cardboard labels/bases. Candles are in very good condition with some storage evidence. 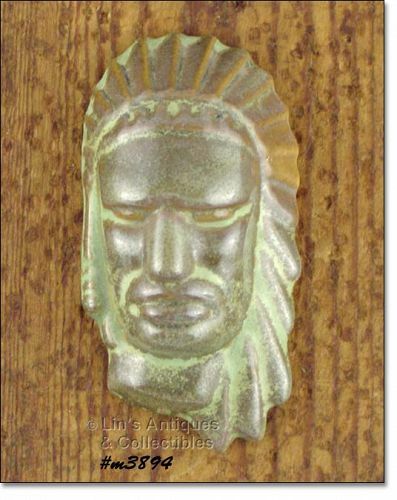 Excellent condition Frankoma Indian head mask that can be used as a paperweight or hung on a wall! It measures 3 5/8” long (at longest) and 2” wide (at widest). Super addition to a collection! 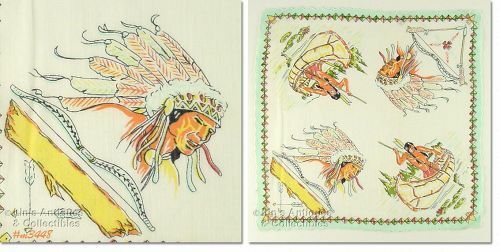 This is an unusual hanky – it depicts Native Americans! Measures 12 ¼” x 12 ¼”. 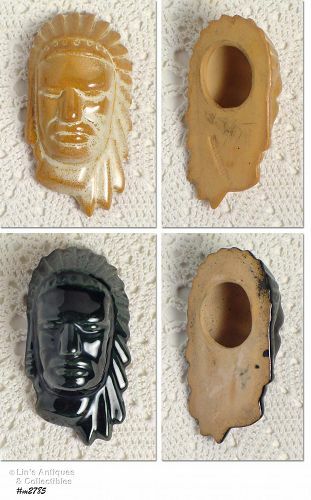 These little Frankoma items are so neat – they’re Indian head masks that can be used as paperweights or wall hangings! I have two available – both measure 3 ¾” long (at longest), 1 ¾” wide (at widest). One is desert gold color and is stamped Frankoma. 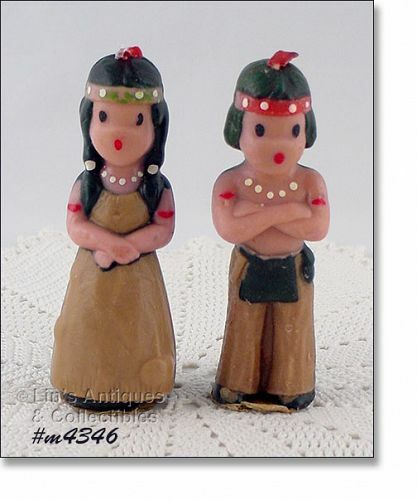 Cute little items – a Native American couple made of plastic (may be celluloid). Girl measures 5” tall, boy is 5 3/8” tall (at tallest). Neat collectibles!